Christmas is perfect time for shopping in Barcelona. The city offers different kind of Christmas markets, and many shopping centers and stores have their own Christmas sales. Nativity Scenes and Figures, where the stands are mainly offering carved figures, traditional Christmas decorations, and small Nativity Scenes. Greenery and Plants, where you will find stands with natural or artificial trees, lucky branches of eucalyptus, and more. Crafts, where will be presented all the stands selling hand-made products and accessories, clothes, and gifts. Simbombes, where the stands will be offering traditional Catalan Christmas instruments, for example tambourines and zambombas, which are one kind of drums. The Fira de Santa Llúcia is held in the Gothic Quarter in front of the Cathedral, few steps away from the metro Jaume 1. It’s open from 27th of November until 23rd of December, every day from 10.30 am until 8 pm, except on weekends until 9.30 pm. 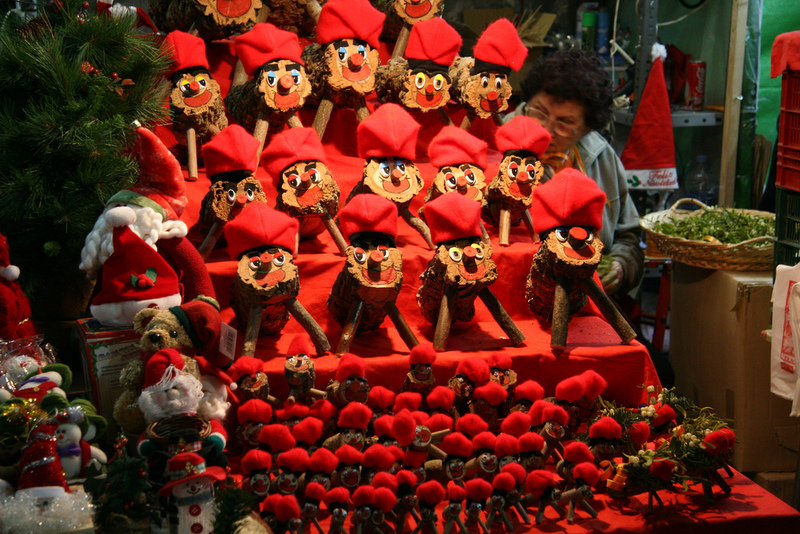 In addition to the Fira de Santa Llúcia, there is held other Christmas markets in Barcelona, too. This market with almost 120 market stands is held in front of the Sagrada Familia from late November until Christmas Eve in December, and will be open daily from 10 am until 10 pm. The Three Kings Fair market is the biggest Christmas and New Years market for toys. It has around 300 market stands, mostly toys but also other traditional “Reyes” gifts. The market starts in the middle of December and is held until 6th of January, on the street of Gran Via between the streets of Muntaner and Calabria. 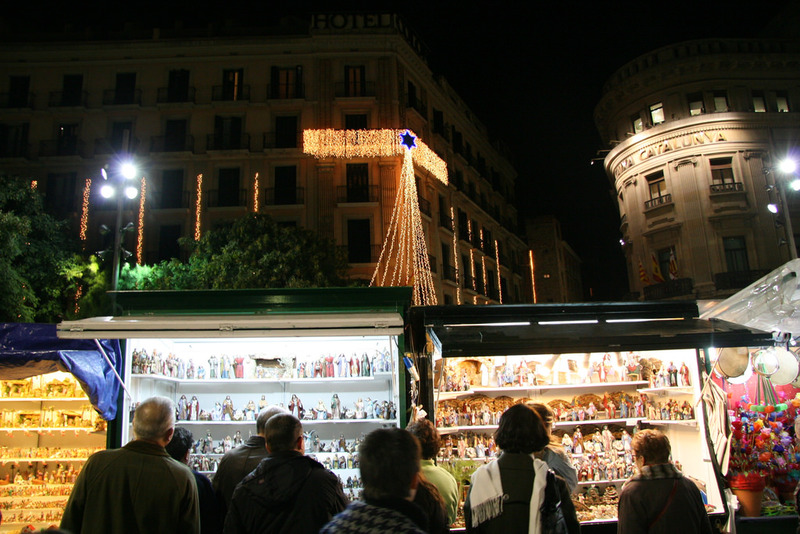 Also there will be more, smaller Christmas markets in many other squares of Barcelona. The official Christmas shopping season starts 25th and 26th of November when the Black Friday takes place all over Barcelona. Hundreds of shops and restaurants will have their own sales and offers during these two days. The 1st of December is organized The Shopping Night Barcelona on street Paseo de Gracia. Coinciding with the 150th anniversary of the publication of the first book of Lewis Carrol, Alice in Wonderland will be the theme of everything and turn the Palau Robert to the Gardens of the Queen of Hearts, where the official party of The Shopping Night will be held. In the event there will be gastronomy, live music, and shops open until late evening. The Shopping Night is organized by over one hundred hotels, restaurants, and shops. More information here. As a general rule, all shops will be closed on the public holidays 25th and 26th of December. Some stores have a special license, which allows them to be open until afternoon on Christmas Eve 24th of December. If you stay in an apartment, it is recommended to buy the groceries in advance before the 24th of December.